How good are you at searching? Not as good as you think...! How good are you at searching? Not as good as you think…! Every day several billion searches are performed on Google alone, with billions more on all the other search engines combined. And the figures do not count all the billions more that we do within websites. You would think we would all be pretty good at searching. But you’d be wrong. Even with the vast amount of searching that we do online, we’re not much cop at it. Search engine experts point to the fact that around 95% of all clicks are on the first page of the results for any given search term. They also emphasise that around half of all those clicks are for the first item on the results listing. What this misses out, however, is the number of people who click on nothing. There are millions of people right now searching away, who get a results page for the phrase they have typed in, take a quick look and go “well none of that is what I wanted” and so they search again for something else. Google’s own data show that only 12% of people who search for something click on any of the results. In other words, around 88% of searches are unproductive. What the SEO experts are really talking about is the 95% of the 12%. True, it is still millions and millions of people. But it misses the point; most individuals who search for something do not get what they are expecting in the search results. Of course, they could, if they tried. The most likely reason why so few people actually click on anything on a search results page is that they were very poor at searching. Either they typed in such a generic phrase that, frankly, all Google could do was to guess. Or these searchers didn’t use the advanced search settings, which bring so much additional power to your searches. When you complete a search, though, you are often faced with millions of potential results. The sheer volume of the selection makes our brains freeze for a moment. All that choice stops us in our tracks. So we quickly scan for something that seems as though it might be the kind of thing we are looking for. It turns out we do this in around 200ms – you are not consciously aware you are doing it. We latch on to a link that seems right and then we focus on it – at the expense of the other search items in the list. We are fooled into thinking this is the right thing to click on. It gets worse. Studies suggest that we trust those first links we see more than the others. We do not appear to think they may be biased or inaccurate. So, here’s the problem. We are not very good at searching anyway, because most of what we get, we reject. And even when we find a page of potentially useful results we are attracted to one item at the expense of the others, and we tend to believe it is more likely to be accurate and unbiased. On the Internet, it would seem we dispense with our powers of analysis. Now, a new study on search behaviour took an interesting look at how we search, comparing different age groups and a variety of topics. The research found that older people were better at searching for healthcare subjects than younger people. This was put down to the greater experience that older people have with medical matters. Conversely, when the subject of the searches was “fantastic movies” it turned out that the younger people were better at searching, again because more young people go to the cinema and are engaged with such kinds of entertainment. Also, older people tended to be slower. They spent more time looking at the search results page. This could suggest that they were more cautious and used their experience to assess things and, perhaps, be more analytical about what was being offered to them. 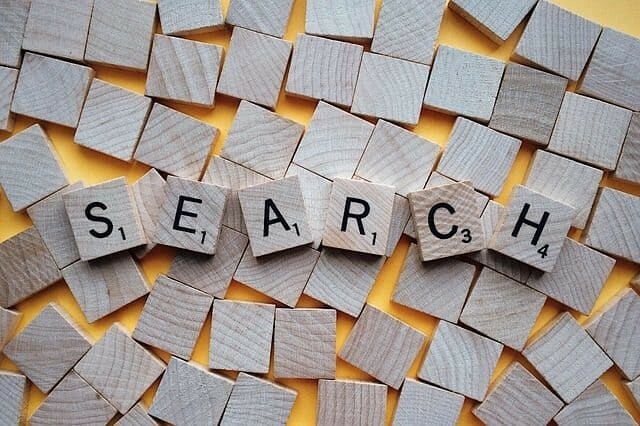 We might like to think that we know what we are doing when it comes to search, but the statistics and studies suggest otherwise. Our lack of search skills combined with our subconscious desire to get things done quickly and accept the most obvious result, without much analysis, is a problem. We could be basing all kinds of decisions on that kind of online behaviour. And combine all that with a lack of experience in a sector and it turns out that online search could be more of a hindrance than a help. When is it good to use an infographic?